FlingSmash was released for the Wii on November 7, 2010. The game was part of a controller bundle with a MSRP of $49.99, which included the game and a Wii Remote+ . The game was developed by Artoon and published by Nintendo. 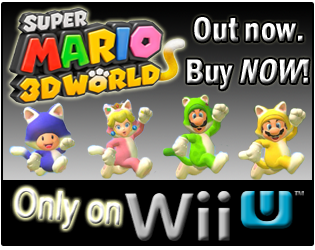 It is listed as an "Action Sidescroller" by Nintendo, and can be played by 1 or 2 players. FlingSmash received an "Everyone" rating from the ESRB with "Mild Cartoon Violence" listed as content for gamers/parents to be aware of. Do the reported game-play hours for FlingSmash show it as a smashing success, or more of a flinging failure with 253 days of data reported on its debut? Let's take a look! 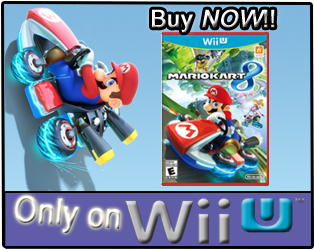 shown are not for all Wii owners that have played the game. 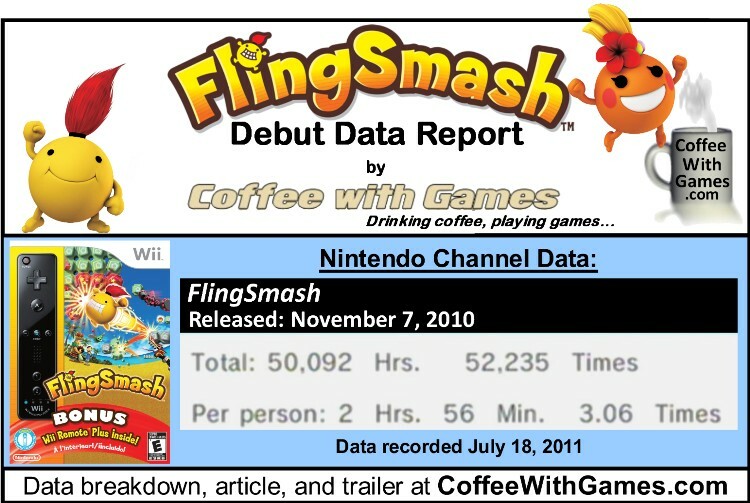 FlingSmash had about 17,070 Wii owners that reported game-play data through the Nintendo Channel from the game's release on November 7, 2010 until July 18, 2011. 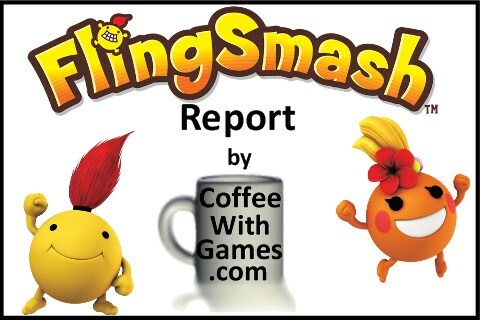 FlingSmash had 50,092 Total Hours of game-play reported for its debut, with the average play-time being 2 Hours 56 Minutes "Per person" that reported data. The game's average play-time is just over 57 minutes per session. FlingSmash's Amazon.com sale rank is #1,879 and it is currently selling for $31.99. FlingSmash's "professional" review score average is 57.44%, based on 18 reviews on GameRankings.com. The FlingSmash bundle currently has a 3.5 out of 5 Stars rating on Amazon.com, based on 101 customer reviews. The game's customer review score average is 72.07% when the reviews are converted to a 100% review scale. I haven't played FlingSmash, and at this point I doubt I will unless we end up buying the FlingSmash bundle at a later point. Being that I already own a Nyko Wand+, which is basically a Wii Remote+, and our neighbors have let us borrow an additional Wii MotionPlus unit with Wii Sports Resort, I don't see us purchasing an additional controller soon. The few Wii games that have been bundled with accessories before FlingSmash, such as Wii Play and Link's Crossbow Training, have been very successful and all have more than one million hours of game-play reported. While FlingSmash is doing better than some other Wii games that have not even debuted yet, such as Spyborgs and Cursed Mountain , as well as many others that were released before it, the fact that it was bundled with a Wii Remote+ during the holiday season really made me think it was going to debut a lot faster than it did. 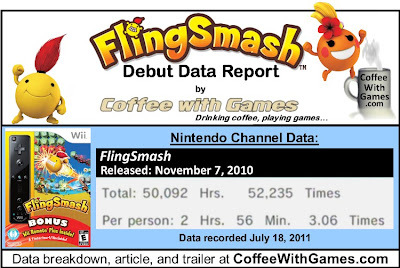 Considering FlingSmash took 8 months to reach the 50,000 "Total Hours" to debut, I doubt the game will cross one million hours of reported game-play during the Wii's life-cycle, which seems to be near its end. My verdict on whether the game has been a "smashing success, or flinging failure" would be more to the "flinging failure" side as for reported game-play hours because this wasn't just a random third party game that released, but it was a game published directly by Nintendo and bundled with a controller during a holiday season. Did any of you purchase the FlingSmash/Wii Remote+ bundle, because you needed/wanted an extra Wii Remote with the Wii MotionPlus unit built in? If you purchased the bundle just for the Wii Remote+, did you perhaps find yourself giving FlingSmash a try and enjoying it, and is it a bundle you would recommend, because of the game, to other Wii owners looking for an extra Wii Remote? I was planning on buying the game at first, but when I saw more gameplay videos, it became obvious that the game wasn't good so I held off. I still planned on buying two motion+ controllers (right now I have two regular Wii remotes with a motion+ attachment for each) to complete the set, but since nobody is bothering to make games for it, I don't know if I ever will. Also, finally some data proving that Wii Play was not selling so well only because it was bundled. People seriously underestimate the fun of that game, and it's also clear from the sequel that even Nintendo did not understand what made the games so fun. I kept on wanting a reason for a Wii MotionPlus unit, but never bought a game that required it like Red Steel 2 did, or Wii Sports Resort. I now own a Nyko Wand+ that has it built in, and our neighbors just let us borrow an external Wii MotionPlus unit along with Wii Sports Resort...so, kind of like you, I never really was interested in the FlingSmash controller bundle. "...but since nobody is bothering to make games for it, I don't know if I ever will." Yea, Wii MotionPlus is just ONE area(of many) I wish Nintendo had done differently with the Wii...but the Wii was still selling well when it released, so instead of trying to get a Wii MotionPlus unit to every existing Wii owner quickly, Nintendo apparently decided to milk it as much as possible and now hardly any third party developers are even using it. Anywho, thanks for the comment/feedback!